Published in Farmers Weekly in 2014 but most of it is still relevant today, except costs. Costs have come down. There is no need to buy your own drone and go through the training, insurance, exams and gaining CAA permission. 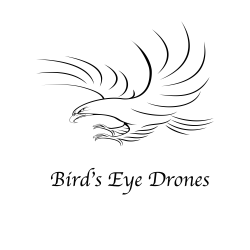 We can offer you drones as a service at reasonable prices. Have a look at our prices page to get a rough idea then give us a call to discuss your needs. Take a wander through the halls of any major farm machinery show and you’ll notice that newly-formed companies offering precision agriculture services are popping up like daffodils on a spring morning. The most eye-catching are those offering unmanned aerial vehicles (UAVs) to help fine-tune chemical and fertiliser application plans. The tumbling cost of components parts and the improvements in cameras and mapping systems have made these types of machines well-suited to agricultural life. That’s mainly because they solve a perennial farming problem – how to get a good look at a field almost plant-by-plant. Traditionally, satellites have been used to provide images but these can sometimes be short of detail and may not be available at all when there’s thick cloud cover. GPS-guided UAVs, on the other hand, offer the flexibility of attaching multiple sensors – visible light, infrared or thermal – to determine different features of a crop. These can be used to recognise things like weed types, disease pressures, plant stress, crop damage, nitrogen requirements and yield potential. UAVs can also fly low enough to get a very detailed look at the crop. The Civil Aviation Authority (CAA) governs airspace, although its rules seem a little woolly. In simple terms, if you’re flying your drone for your own use then there’s no need to have any qualifications (provided it weighs less than 20kg). The limitations are that you must fly within your visual line of sight – 400ft upwards and 500m across – and more than 50m from buildings and people. However, if you’re planning to use your UAV to provide a service (and charge people money accordingly) then the rules are slightly different and you’ll need to apply to the CAA for permission to fly. Individual farmers thinking of buying a drone will find the initial purchase cost difficult to stomach. It can be anything from £10,000 for the most basic up to £50,000 versions – so it’s better suited to farmer co-operatives that can get the most use out of them. Prices generally vary according to the design you go for. Fixed wing, aeroplane-shaped UAVs can travel further, faster and for longer, but have limited sensor-carrying capabilities. Alternatively, multi-rotor types are more power hungry and chew through the batteries more quickly, but have a decent undercarriage for mounting cameras and sensors. You’ll also need to add the cost of servicing and maintenance to the initial outlay, not to mention that the whole unit might only have a three-year shelf life. It’s also worth bearing in mind that, at best, you’ll manage about 100 flying days per year in the UK given our unpredictable climate. However, customer charges can reach more than £1,000 a day, so there’s still a very reasonable profit to be made. The challenge is to turn the pictures provided by the drone into something that can be used to bolster yields. So, rather than hanging a high-end digital camera from the undercarriage, drones can carry a mass of sensors to detect different things. Agrovista is one company conducting trials into the accuracy and calibration of different sensors. It is working with Ursula’s Scout surveillance system to monitor crops at two UK test sites. The first, at Maidwell along the blackgrass corridor of the A14, was surveyed three times by Ursula last year. Kitted out with the correct sensors it was able to count the number of blackgrass heads across the site after different chemical applications. The second site focused on monitoring crop nutritional needs and disease pressures, and the company says that the information gathered could be used to create localised spraying plans and variable rate fertiliser maps for the future. However, spraying technology isn’t quite keeping pace. The obvious answer looks to be direct injection systems – Berthoud launched one at the Sima show last year – to target particular areas of a field with a particular chemical product. The short answer is yes. But only once it can be made financially viable for broad-acre combinable crops. That means companies need to it easier for farmers to make full use of the information provided by the surveillance system in a way that allows them to cut input costs or improve yields.